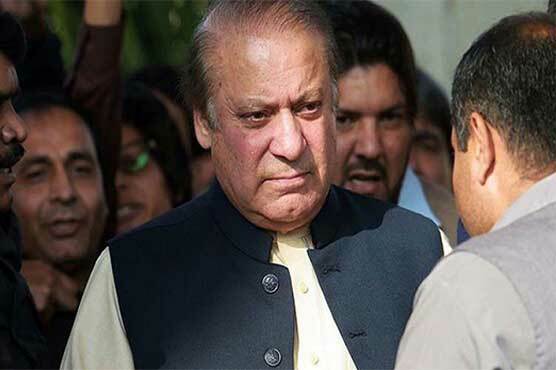 Former prime minister Nawaz Sharif, his daughter Maryam Nawaz and son-in-law Captain (r) Safdar reappeared before accountability court in National Accountability Bureau’s (NAB) references today (Tuesday). During the hearing headed by Justice Mohammad Bashir, Securities and Exchange Commission of Pakistan (SECP) officer Sidra Mansoor has recorded her statement, saying documents reveal that Nawaz’s son Hussain Nawaz was an owner of 4,98,400 shares and that price of one Mehran Ramzan Textile Mills share was Rs10. These shares were gifted and donated, she added. Meanwhile, PML-N lawyer Khawaja Harris also argued on her statement. Subsequently, the court has adjourned the hearing till January 16 for further proceedings. Five other witnesses Uzair Rehan, Wardah Sheikh, Umar Daraz, Tasleem Khan and Mohammad Zubair will also record their stances in the court. Nawaz Sharif is nominated suspect in references regarding Avenfield properties, Azizia Steel Mills and Flagship Investment, while Maryam Nawaz and her husband Captain (retd) Safdar are nominated in reference regarding Avenfield properties alone.